I have been lucky enough to have had my hands-on the Galaxy Nexus for nearly five days now and I'm pleased to report that I'm very impressed. As I mentioned in my first look of the flagship Android phone, I think the Galaxy Nexus is without a doubt the best Android phone on the market right now and the best Android phone that's ever been released. It's the only Android phone that I would ever ditch my iPhone 4S for. However, this doesn't mean the Galaxy Nexus is perfect. I've already mentioned that the speaker volume on the Galaxy Nexus is low, so it's easy to miss calls and notification alerts. I also dislike the fiddly and difficult to put back battery cover, along with the plastic fit and finish of the phone. In my opinion it doesn't look or feel as sturdy as some other premium phones. One important issue I haven't yet talked about is battery life. I didn't mention battery life in my first look at the phone for a reason. Lithium-ion batteries traditionally get better after a few charge cycles, so I decided to hold off talking about battery life until I had used the Galaxy Nexus for a few days. It's only been five days of full use so I still expect a slight improvement in the coming week or so, but the verdict so far is that battery life is fairly poor. As I write this article it's 11am and my battery is currently on 46 per cent. I took the Galaxy Nexus off the charger this morning at 6am. It is important to note I am a fairly heavy mobile user: on the hour long commute into the office from around 7.15am, my phone is constantly in use. I listen to music for the duration of my journey. This morning I also used Twitter for almost the entire trip, along with short use of the Web browser (around 10 minutes in total). Before my commute, I also used the Galaxy Nexus to check Twitter while I was eating breakfast, sending about two or three Tweets. I also used the LiveScore app to check the morning football scores. Once I arrived at work at 8.30am, I switched off sync. I use Gmail in the office, so I don't need mobile notifications during office hours. I keep Bluetooth off unless I'm in the car, and I'll only switch on Wi-Fi if I need it. Generally I will do most Internet-based tasks on my office PC and not the phone. With an afternoon commute home still to come it's clear that the Galaxy Nexus is unlikely to last me a full day. This may not be the case for most other people: with less intensive use, the Galaxy Nexus may get you through a full day. It's difficult to accurately measure battery life as it's largely dependent on how you use the phone. For me, battery life isn't a huge issue as I can charge the phone at the office. I do the same with my iPhone 4S: it's usually down to around 25 per cent by late afternoon, so I've gotten into a habit of charging it before I leave the office. 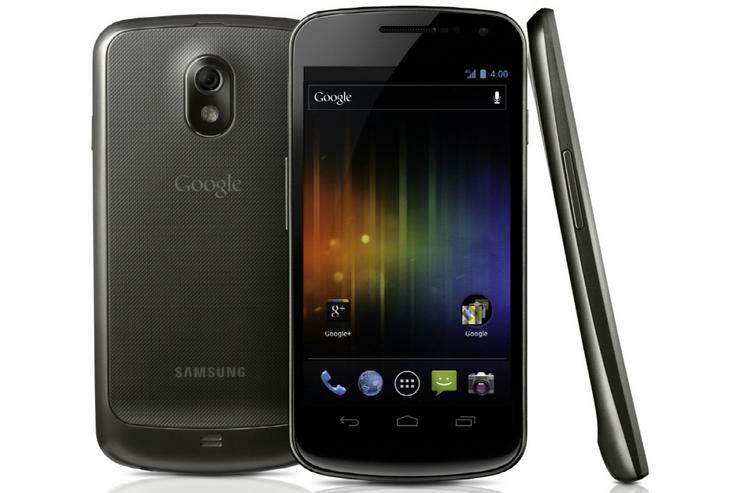 The Galaxy Nexus is the same. The best I have managed to squeeze out of the Galaxy Nexus' battery is 11 and a half hours during a non-work day. The biggest battery killer on the Galaxy Nexus is the screen: it accounted for 52 per cent of the battery life on the best recorded day, and as I write this article it has accounted for 58 per cent of juice in just five hours. Unlike many other Android phones, using the Internet and synchronising applications in the background (like Twitter and Facebook) doesn't seem to be a huge battery drain. The Browser accounted for just 8 per cent of the battery today, and only 10 per cent during the best recorded result of 11.5 hours over the weekend. I'll be publishing a full, comprehensive review of the Galaxy Nexus in the coming week, but in the meantime if you have any questions or thoughts, battery related or not, please let me know in the comments below!